I'm using the following command to fetch a password from the Keychain in a shell script: security find-generic-password -w -s "MyServiceName"
security wants to use your confidential information stored in "MyServiceName" in your keychain. To allow this, enter the "login" keychain password. But I don't want to enter my keychain password every time, so I can't use "Allow" and I'd rather not "Always Allow" in order to keep some level of security here. Ideally I'd like to get a Touch ID prompt instead. Is there any way to do this ? to sudo's PAM file, /etc/pam.d/sudo. There is nothing equivalent to the security command since it doesn't make use of sudo. If you pick "Always Allow" this will grant access indefinitely just to the security command. If you pick "Allow" it will grant security access just 1 time to Keychain. 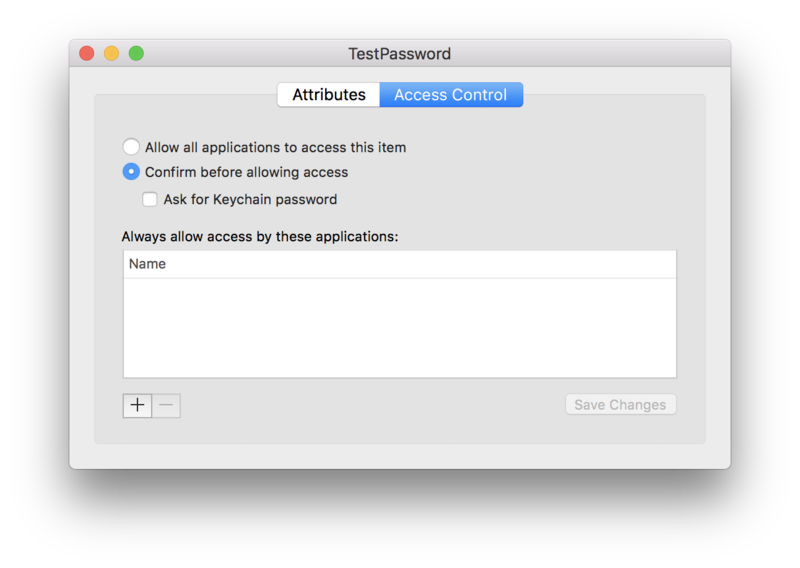 Here I've created an application password item in Keychain called TestPassword. 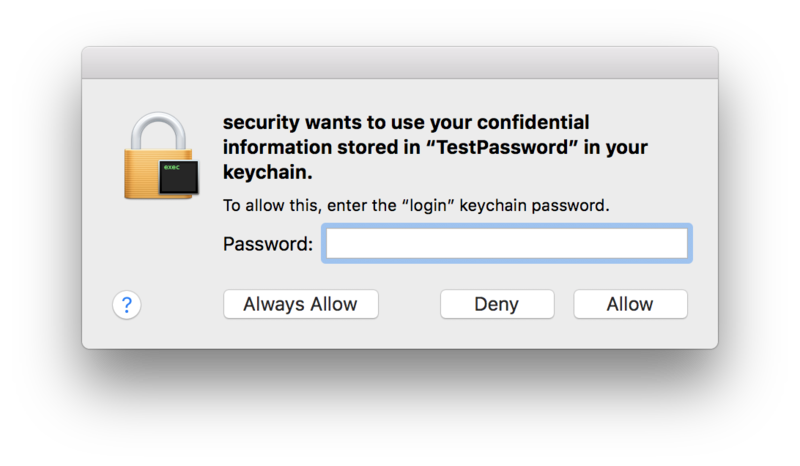 We can see that nothing has been given access to it by looking at the ACL tab of this dialog. $ security find-generic-password -w -s "TestPassword"
But more importantly I'll add security to the ACL for this item in Keychain. Not the answer you're looking for? 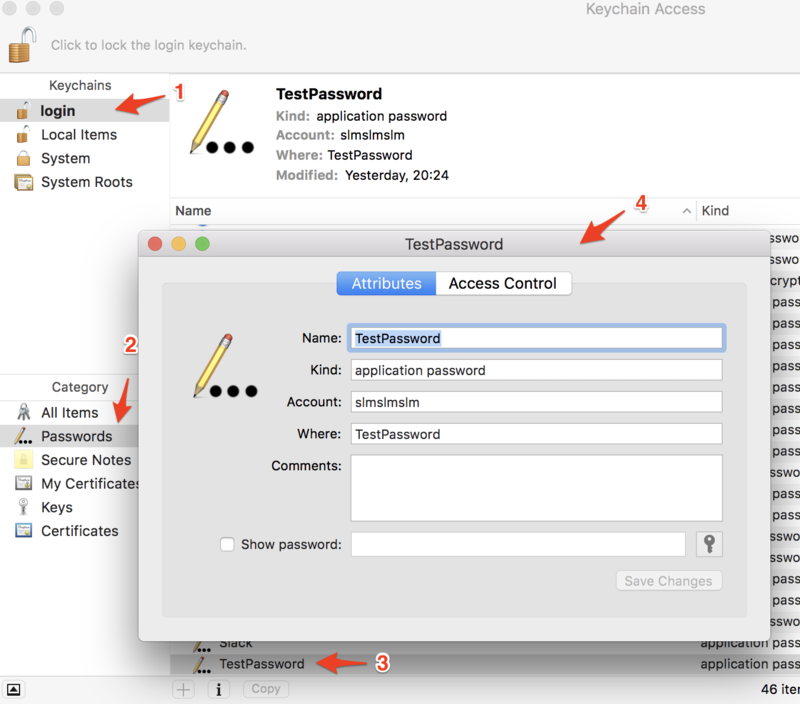 Browse other questions tagged password keychain script touch-id . what is “translate” and why does it want access to my keychain? How to get keychain to leave me alone?